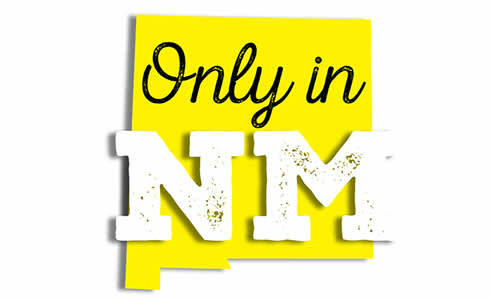 Send your contribution with name and mailing address to onlyinnm@nmmagazine.com, or mail to Only in NM, New Mexico Magazine, 495 Old Santa Fe Trail, Santa Fe, NM 87501. When we returned to northern New Mexico 30 years ago, I was struck by the listings of names in our little rural phone book. They were positively lyrical. Soledad, Eusebio, Filedelfia, Estefanita, Filemon, Eloyda, Zoila—pages of beautiful names of up to five syllables, thoughtfully given to newborns. I have been fortunate over the years to know some of the people baptized with these archaic Spanish names. I read obituaries just so I can enjoy rolling such romantic sounds off my tongue. It was only recently, as I scanned the obituary columns, that I noticed the vast differences between names within a family. If the deceased was quite elderly, not only were the grandchildren’s names listed but also those of great-grandchildren. It led me to notice that old-fashioned Hispanic names are slipping away in the face of modernity. For example, there is Tranquelino, age 94, and his brothers: Primitivo, Requier, Elizardo, Venancio, Baltazar, and Teofilo; his sisters, Eufelia, Guadalupita, Trementina, Cristalina, and Maclovia. Tranquelino’s sons were named Robert, Paul, Joseph, John, and Peter, and his daughters were Teresa, Mary, Anna, and Christine. His grandsons’ names included Frank, Randy, and Matthew, and granddaughters were named Angela, Melissa, and Mikelah. In addition, at the end of the list, great-grandchildren were named Tyler, Jordan, Cory, Venus, April, and Dawn. This is an adapted excerpt from Claudia Clavel’s memoir, Accidental Anthropologists.